The Julie dress is perfect for your big day. You will turn heads with its halter back and its slit ! This season, Maison Lemoine revisits its iconic skirt in a comfortable and modern material: jersey. 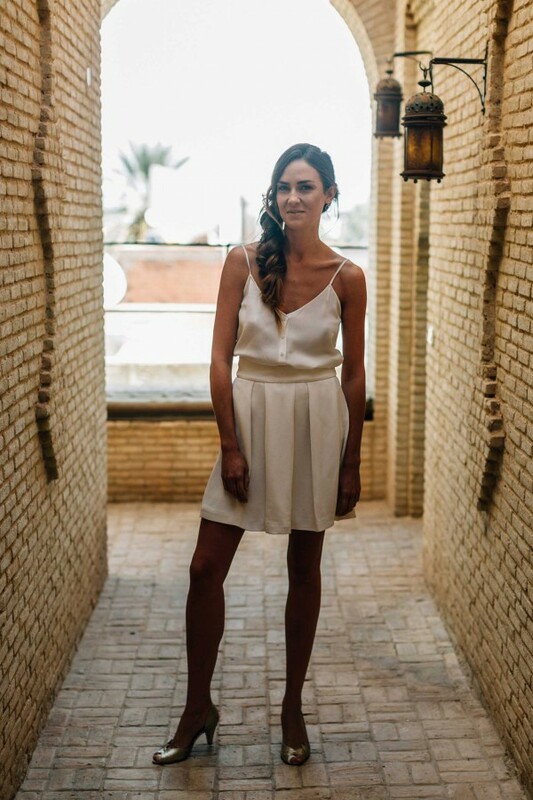 The Sophie jumpsuit is an elegant and timeless piece particularly trendy for a civil wedding. You can wear it for all your greater and smaller occasions, depending on the accessories chosen. With the new version of the Ella midi skirt and its new Clara top, you will have an elegant and modern look with a retro touch for your big day! 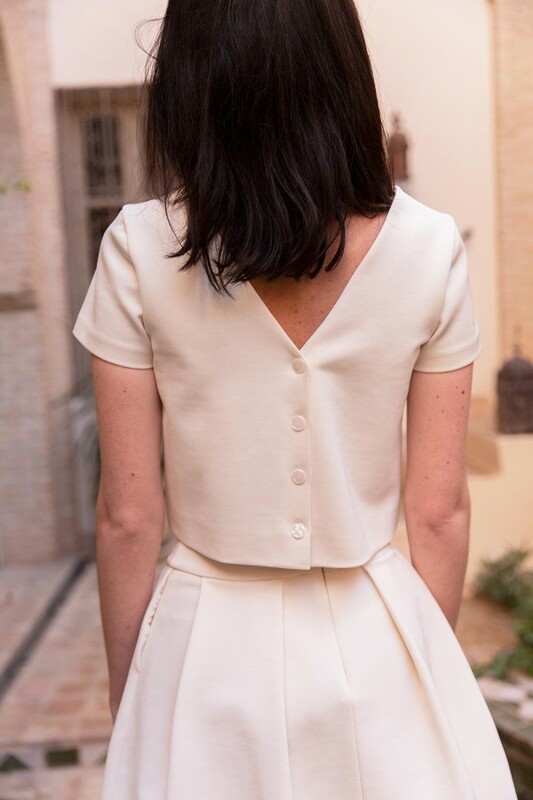 The Misha dress is the perfect little open back dress for a city hall wedding : simple yet elegant, with nice details. 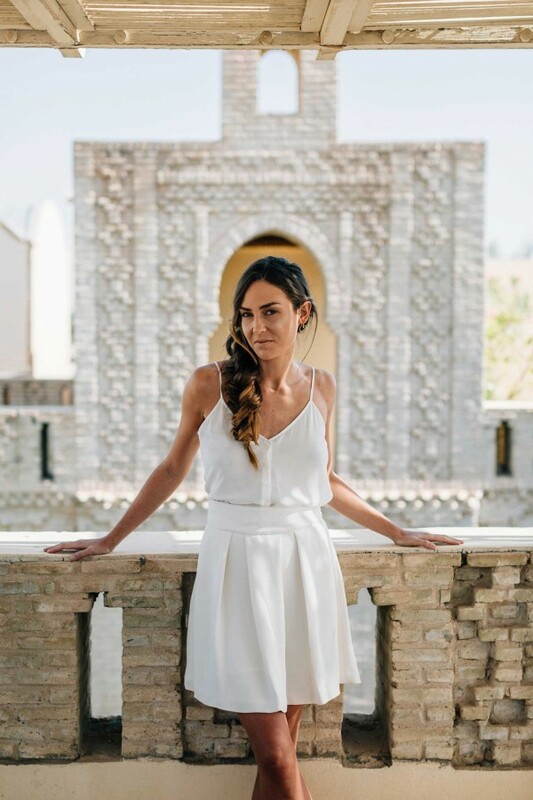 The Josephine jumpsuit is the perfect outfit for a modern civil bride, which can be worn again for other occasions. This season, Maison Lemoine imagines a new skirt ruled by the brand DNA: the Delphine long skirt can be worn in two different ways. It will give two different styles depending on the chosen side of the buttons. The Salomé playsuit-dress is our favorite piece of our new collection! 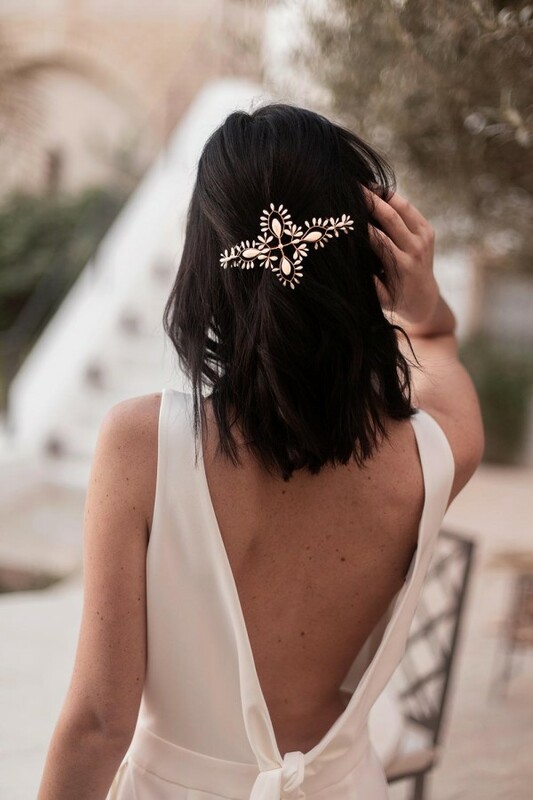 A creative two-in-one piece, which can be the perfect outfit at different moments of your wedding, and can be worn again afterwards. The classic little lace top with its nice line at the back. The new Salmah long dress will give you a feminine and modern look for your ceremony. 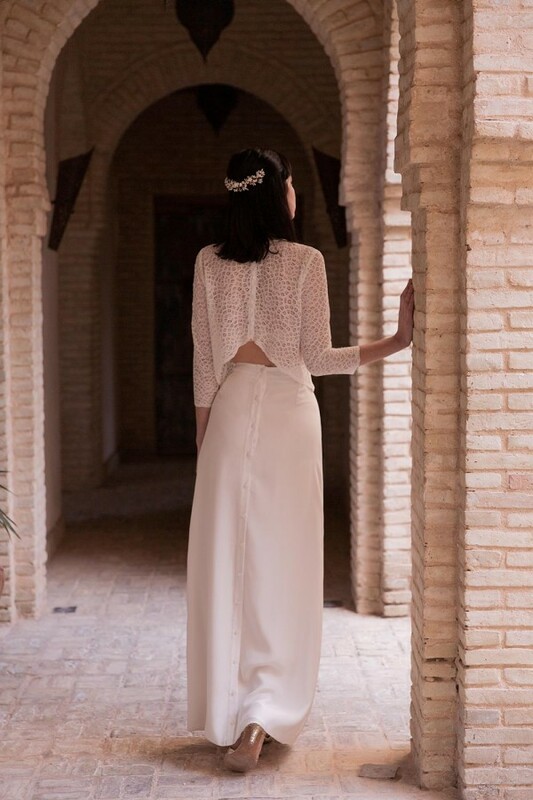 Sarah pants are a statement piece for modern brides, and can be easily worn again for various occasions. The Anna dress is THE perfect little backless lace dress you need for your great occasion! A refined piece, both for its pretty off-white silk, and its large neckline in the back hemmed with delicate Calais lace. We love the chic and effortless look of our new Rosa dress and the creativity of its accordion tulle fabric that modernizes this classic long wrap dress. 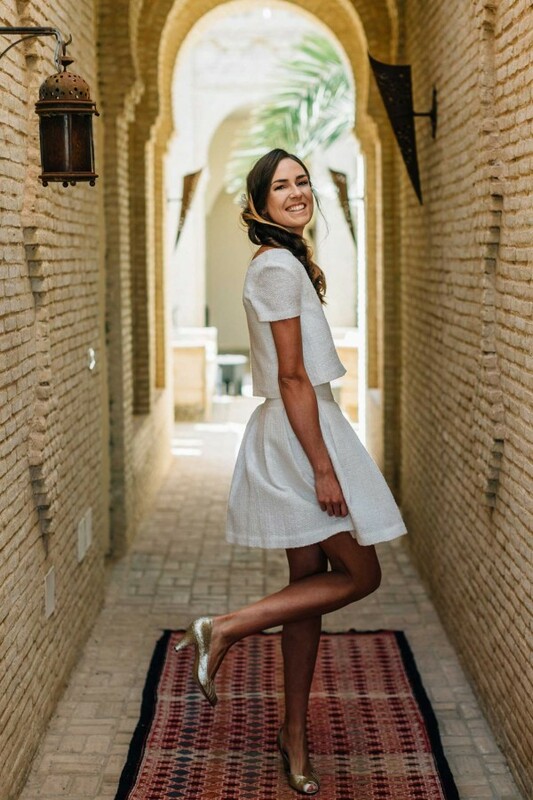 The Ava dress is a slinky and feminine dress that will enhance your chest and legs for your wedding ceremony. The Clara top is a modern piece with its jersey fabric and fitted style. Maison Lemoine's iconic little versatile top for a bride inspired by the sixties. 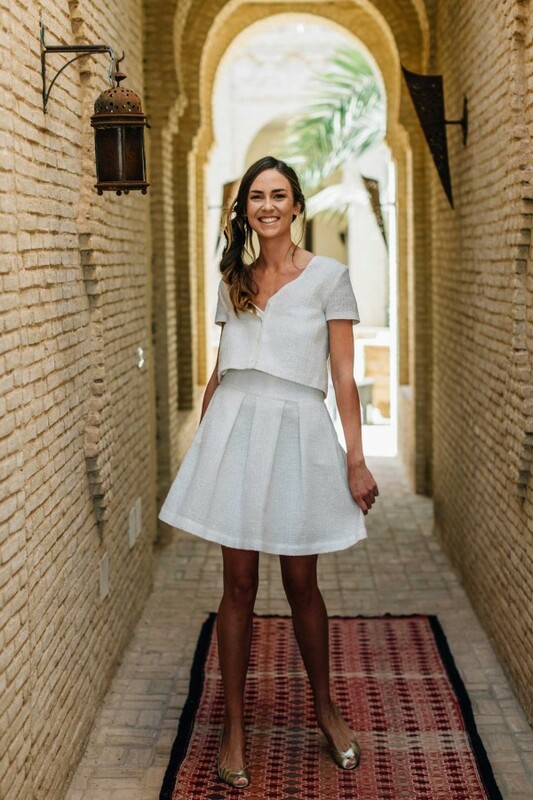 Short skirt in white jacquard and silver lurex threads to shine on your big occasion. Straight and short top, short-sleeved, white jacquard and silver lurex threads. 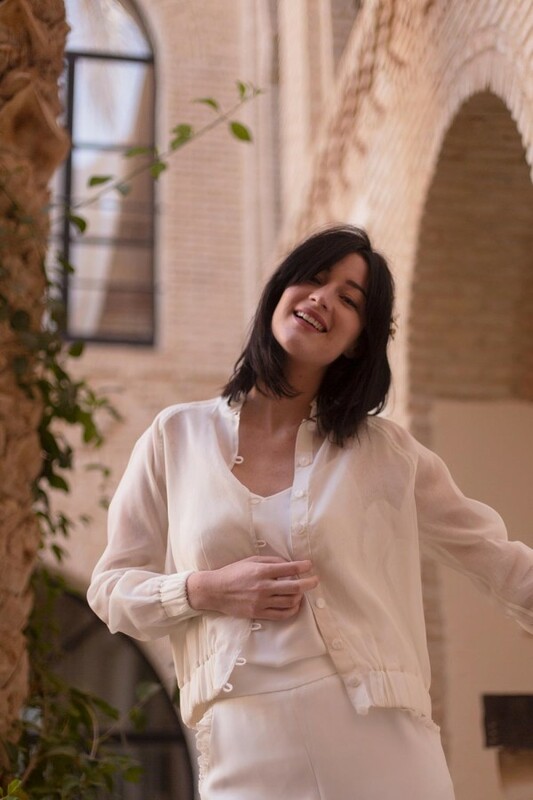 The top Paulette is versatile: you can wear it as a top or as a cardigan, according to your desires! If you wear it as a top, the back and the front are reversible.